I attended a webinar recently on the mosquito (Aedes aegypti) which is the type of mosquito that carries the Zika virus. St Louis for some reason has been considered a hot spot for this carrier this summer. • Zika mosquito is a CONTAINER breeder, meaning that it is not found in ponds or streams, but instead in gutters, birdbaths, old tires, septic tanks or anything holding still water. 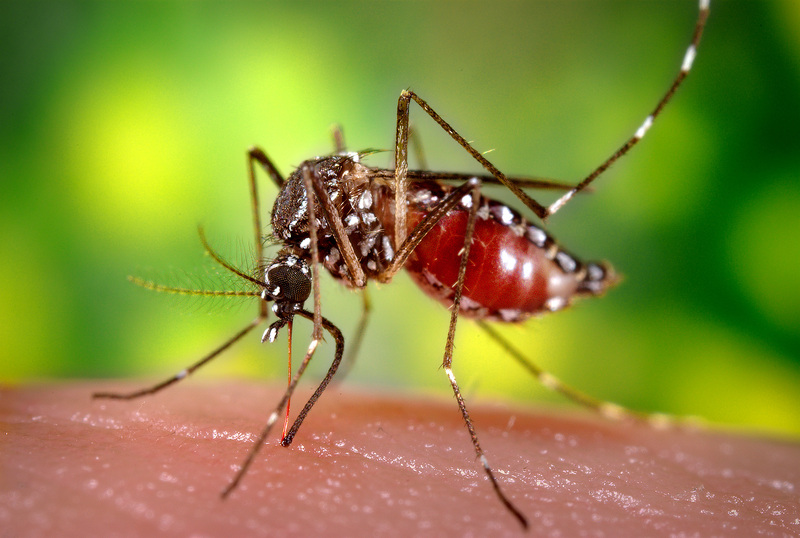 • They fly only about ¼ of a mile from egg source, where other mosquitoes can travel up to 2-2 ½ miles. This is a great way to keep them under control. • THEY ARE DAYTIME BITERS, where other mosquitoes attack at early morning or evening. This is a great indicator. They fly during mid day in bright sunlight and low humidity. If you get eaten in the evening, rest assured that it is not the Zika carrying mosquito. • Permethrin (sold in retail as EIGHT) and Malathion are two great pesticides that work on spraying foundation plantings and trees up to about 10’ off the ground. This is where the adult mosquitoes harbor. • Mosquito Dunks are an Organic larvicide (containing bacillus thuringensis) and are SAFE for pets, wildlife and humans. We sell A LOT of this in retail. this is a granular or round dunks that can be put into gutters and any container that holds water, especially animal water bowls, birdbaths, septic tanks and the like. • Breeding sites that are found need to be dumped and scrubbed to remove eggs. Eggs cling to the sides of containers at the water leverlNOT in the water itself. The eggs are thin and black and resemble the nyjer seed that is often fed to finches. • Zika is going to be a big problem this season as there are more than several states that have seen cases…………….all problems are opportunities in disguise.